St. Sabina Parish continues to be open and hospitable community where all are welcome as we live out God’s word, build community, and strive for justice. To learn more about our parish history St. Sabina, our patroness, browse the tabs below. Belton’s First Mass: The first Mass in Belton was held on September 10, 1944, in a closed liquor store on old 71 Highway (now 58 Highway) at Walnut. 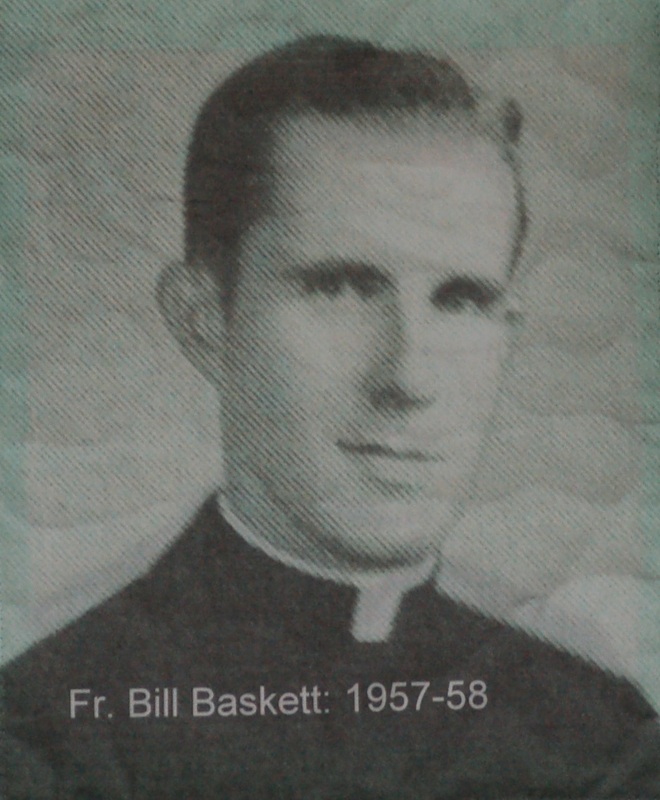 Mass was celebrated at the liquor store with 60 congregants from some 13 families for about a year and a half, after which the parish moved to the auditorium of the Belton public school. In 1945 Henry Mucke began a campaign to raise funds to purchase land on which to build a church. 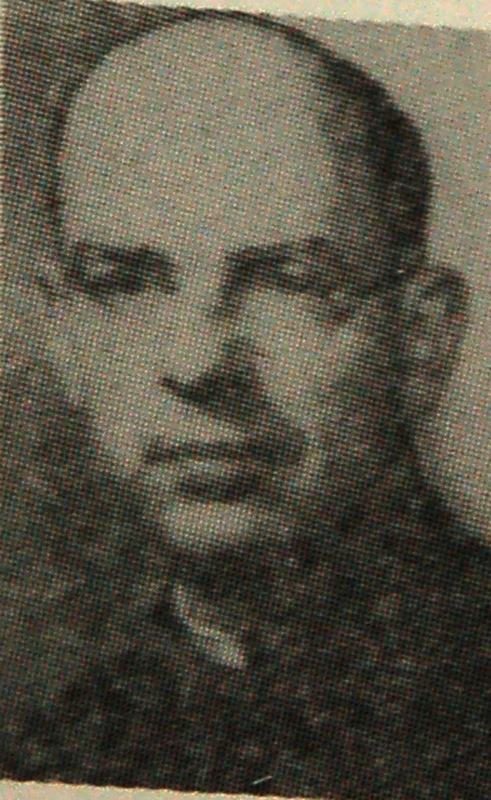 Both Catholics and non-Catholics contributed to the fund. A very generous donation came from James Green, with the request that the church be named in honor of St. Sabina, which was also the name of his late wife. 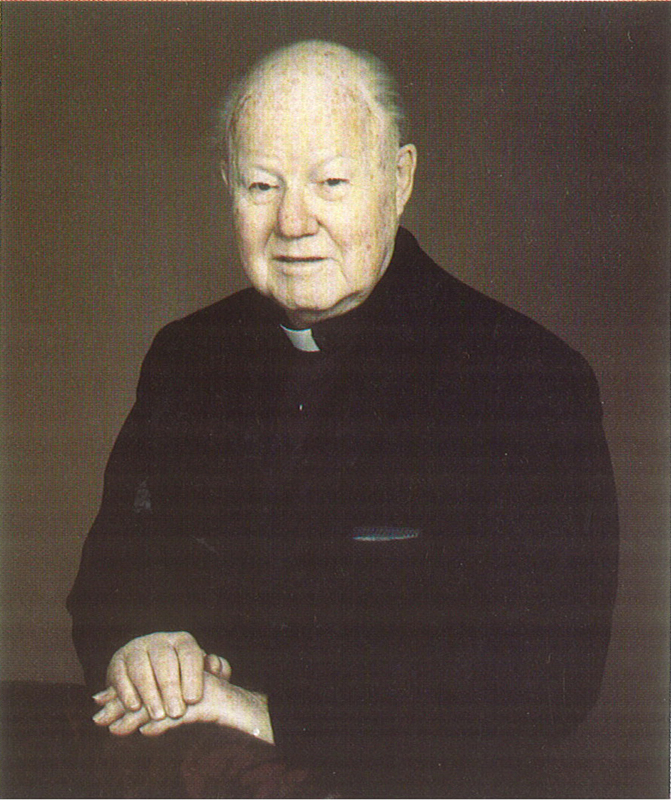 Bishop O’Hara granted the patronage of St. Sabina to the mission church on March 9, 1945. 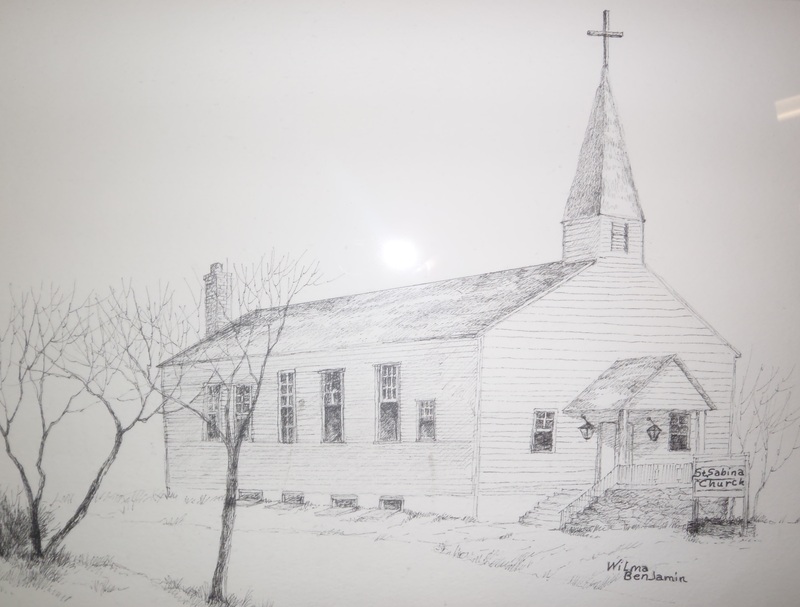 Sacraments: The first baptism in the mission church of Belton was of Linda Ann Plunkett, daughter of Betty Arnold, on December 16, 1945. The first Confirmation was on April 1, 1946, for Vernon Mucke, Wayne Mucke, and Darrell J. Schmedding. The original First Communion class received First Communion on April 29, 1951. The children who received their First Communion were Julius Bax, Phillip Blanton, Barbara Mackendanz, Frank Mackendanz, and James Hellings. The first marriage recorded was between Kenneth A. Webber and Ruth A. Miller on January 15, 1946. December of 1947, was dismantled and moved to the site on Herschel where it was reconstructed. 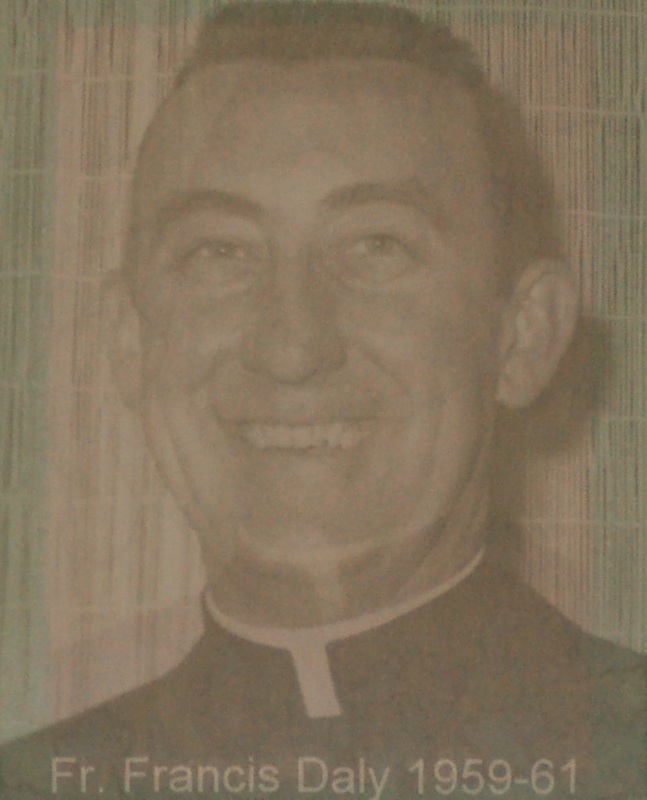 The chapel was officially dedicated on August 8, 1948, by Bishop O’Hara. 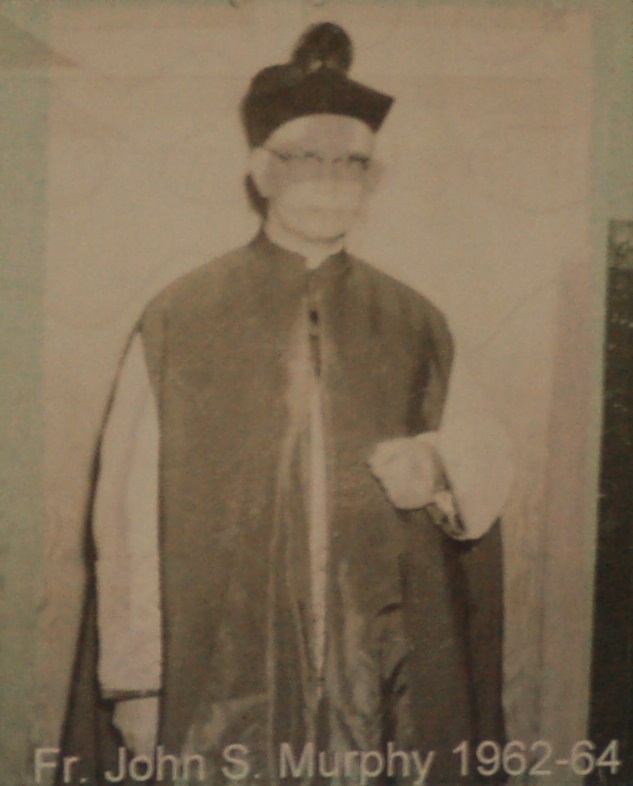 Rectory: In the summer of 1951 a house was purchased for use as a rectory by Fr F.E. 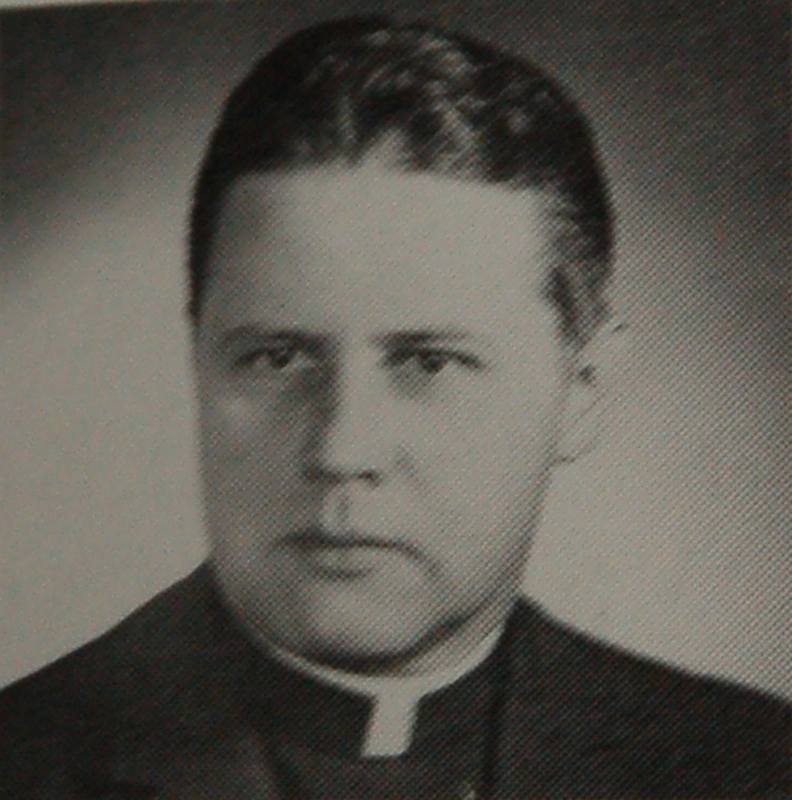 Hagedorn, and transferred to the Diocese. 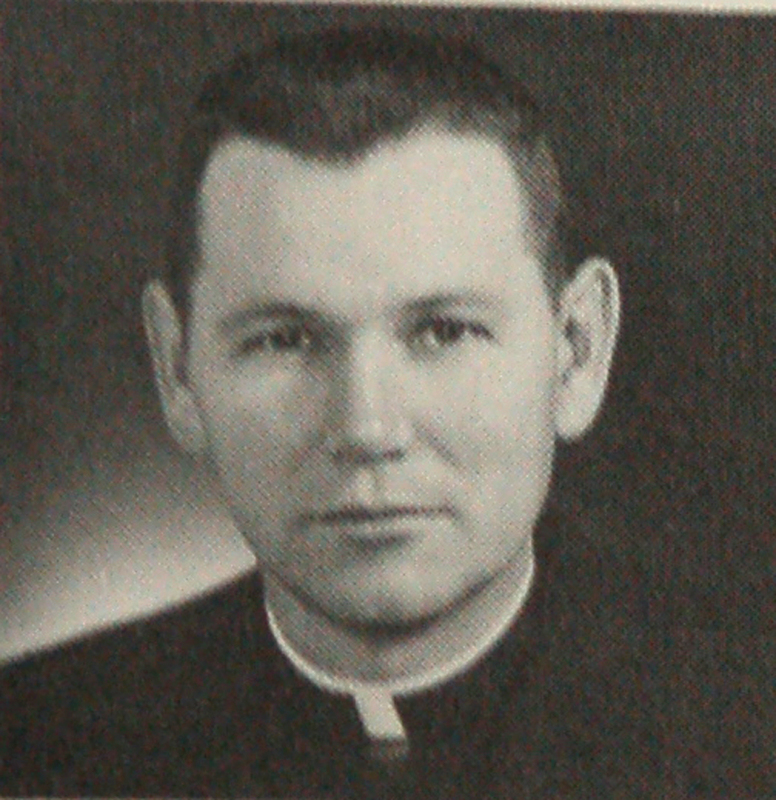 With a resident pastor, Father Daniel T. Murphy, the Belton mission was raised to full fledged parish status on July 3, 1951. The site of the rectory was diagonal to church and located at 522 Second St. A Parish Census in 1959 showed 264 children, with 108 of them being of grade school age, 34 in high school, and a total of 425 adult Catholics. A school of religion was started in 1959 with 140 children, which included children from Coronation of Our Lady in Grandview and Richards-Gebaur Air Force Base. The Sisters of Notre Dame de Sion taught the children. Plans for a Catholic School, Parish Center, Church to seat 600, and Convent in Lacy Estates: In October of 1957 plans were proposed to Bishop Cody for a 6 classroom school on a 15 acre site in the west part of Lacy Estates. The 15 acres were purchased in July of 1959. By 1974 the Lacy Estates land was sold to Roger Maier and a church was built on Trevis Avenue instead. 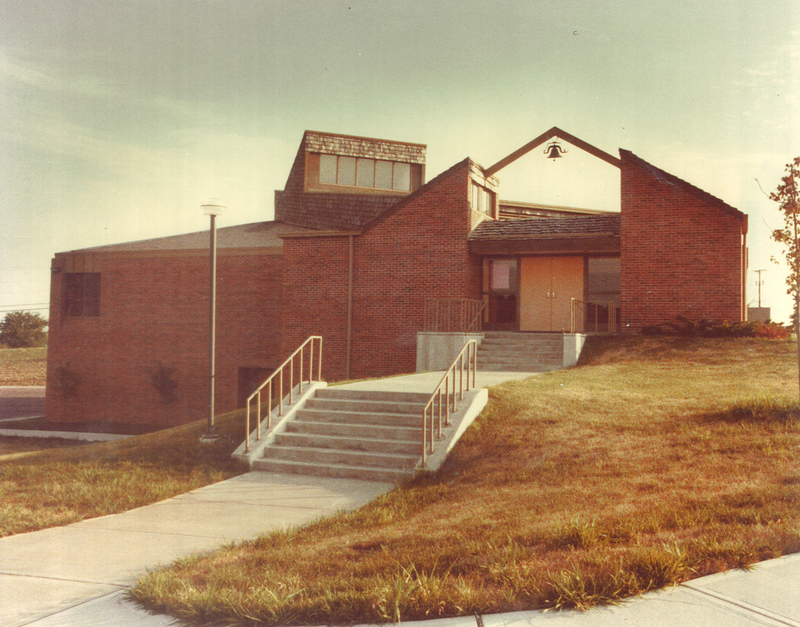 In 1980 the Catholic School of St. Catherine’s was combined with Coronation School and St. Matthew’s and became Our Lady of Peace School located on St. Catherine’s campus. Later in 1989 St. Sabina was added to the consolidation. 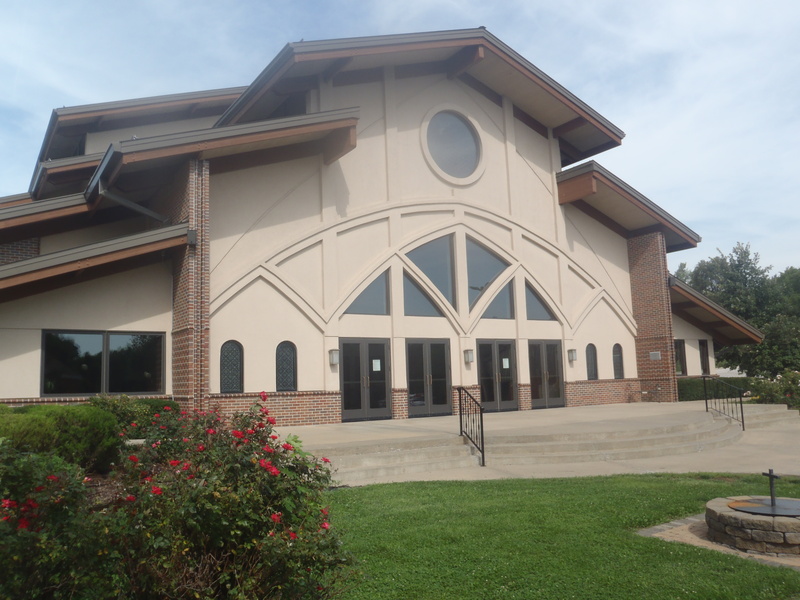 THE 1974 CHURCH: The Diocese of Kansas City-St. Joseph sold the 13.93 acres it owned in Lacy Estates to the Maier Development Company, then purchased 5 acres from Roger Maier to build a new church. 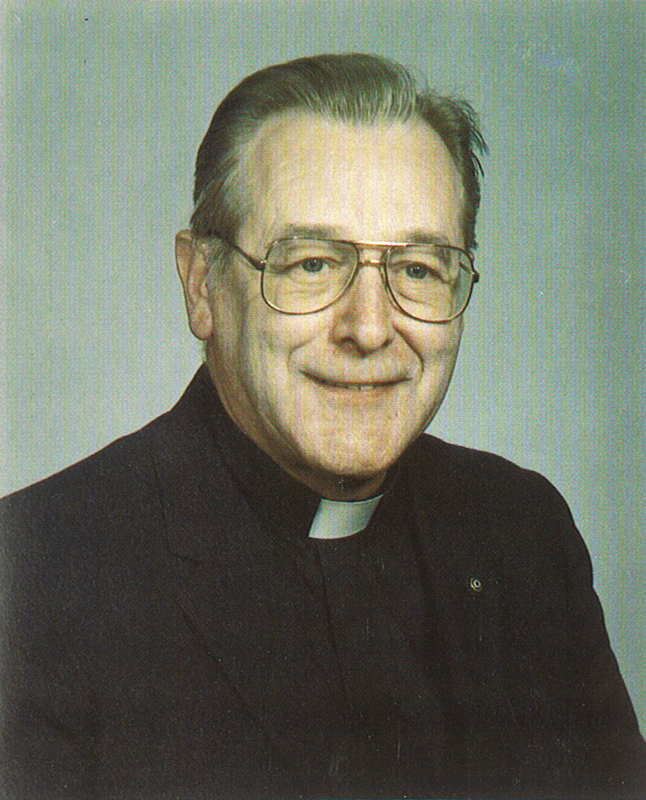 The campus at 700 Trevis Avenue was dedicated on May 12, 1974 by Bishop Charles H. Helmsing and the pastor, Fr. Roger Miller. The new facilities included a two story brick church with a nave and vestibule above 5 classrooms and a parish hall. Religious education classes were moved there upon completion. A rectory was built across from the church at the same time, with similar construction. The rectory was built on land that was originally a lake with the dam being alongside the current Hwy 58; parts of the dam can still be seen. NEW GYM AND EDUCATION WING 1989: Bishop John J. Sullivan dedicated two new buildings at St. Sabina on Sunday, April 16, 1989. Monsignor John F. Huhmann, pastor, welcomed a number of other special guests at the ceremony, including State Representative, Jan Martinette, Belton Mayor Gary Mallory and former pastor, Father Roger Miller. At the dedication of the gym and education wing, Msgr. John Huhmann said that discussions concerning the need for additional facilities began the year before. He added, “Little did we think at the time we would be courageous enough to build what we did.” The record of generosity of the parishioners determined the idea was feasible. They started with $410,000 in the bank and finished with a debt of less than $300,000. A modest new cross was added to the church building as part of the improvements. In 2007, that cross was placed on top of the newly built Cross Tower at the suggestion of Fr. Chuck Tobin, pastor. Education Wing: Added to the church campus was an eight-classroom educational wing. The 6,000 square foot classroom addition to the main church building is of poured concrete, block and brick. It also includes two offices, restrooms, a storage area, mechanical room and foyer. A storage room on the west side was designed as a future stairwell to a second story. The education wing was designed to add a 2nd story in the future by lifting off the rubber and gravel roof. Msgr. Huhmann planned to build a gym on the 2nd floor, but the diocese wouldn’t allow it, and thus a separate building was built for the gym. The Gym: The gym is a separate 9,000 square foot recreational building, a pre-fabricated metal recreational building that has a decorative brick veneer to conform to the rest of the St. Sabina complex. It features a junior high basketball court, foyer, office, conference room, storage areas and a large kitchen. Fr. 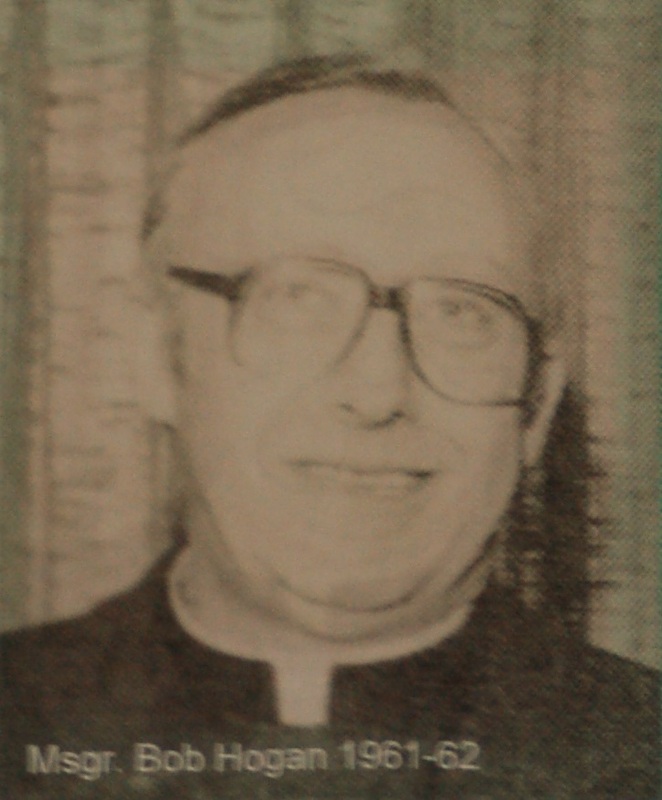 Joe Matt was named pastor in 1989 following Msgr. Huhmann’s retirement. 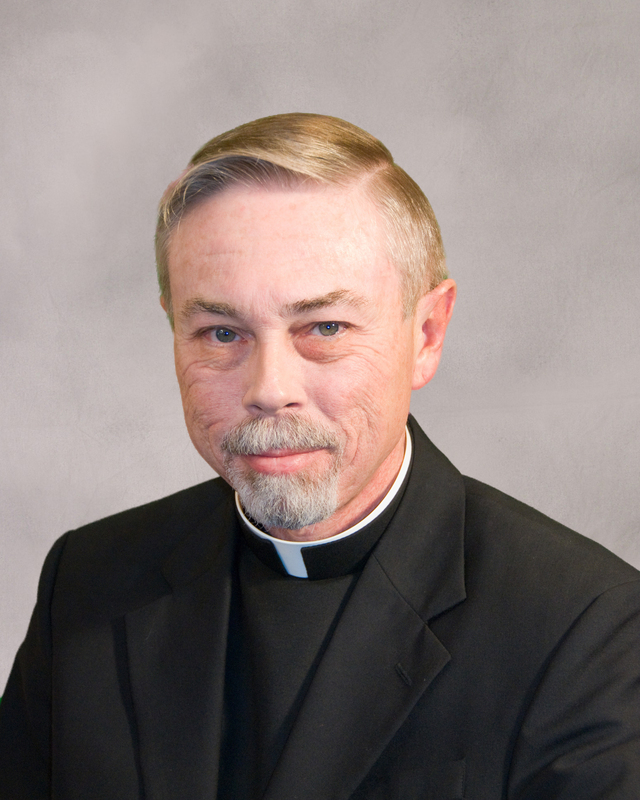 He was pastor at St. Sabina for 15 years. For 11 years he oversaw the plans for building a new church that was dedicated in 2003. In 1989, the parish had 470 families and in 1994, over 800. The estimate for 1996 was 1000 families. They began a planning process in 1992 to meet the future needs and examine how to expand the church building. With an eye toward the future, the Diocese purchased 10.2 acres of land from Lee and Gertrude Willimetz. The land, which was west of the church property, included a house at 810 W. North Avenue. A Master Plan was presented to the parish in 1997, showing the projected growth estimated by the Mid America Regional Council. 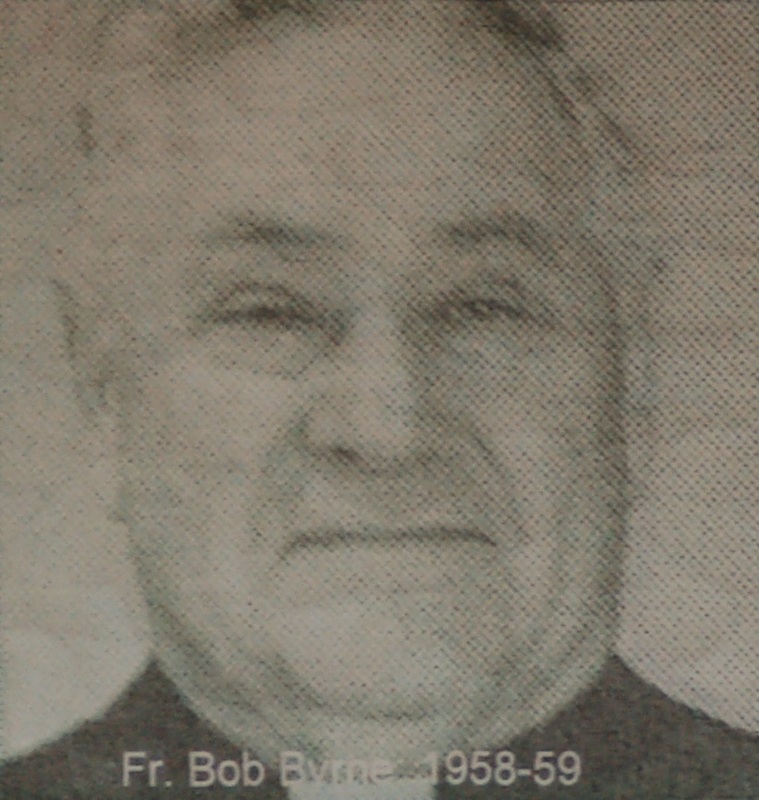 There were 20 items for the parish community to consider, such as a larger assembly area to serve the growing parish family with only 2 Masses on Sunday, main level restrooms to accommodate the elderly and infirmed, a day chapel, cry room, more space for meetings, offices and storage, better lighting, safer parking lots, and a driveway onto 58 Hwy. Church building plan sketches were presented to the parish on February 1, 1999. 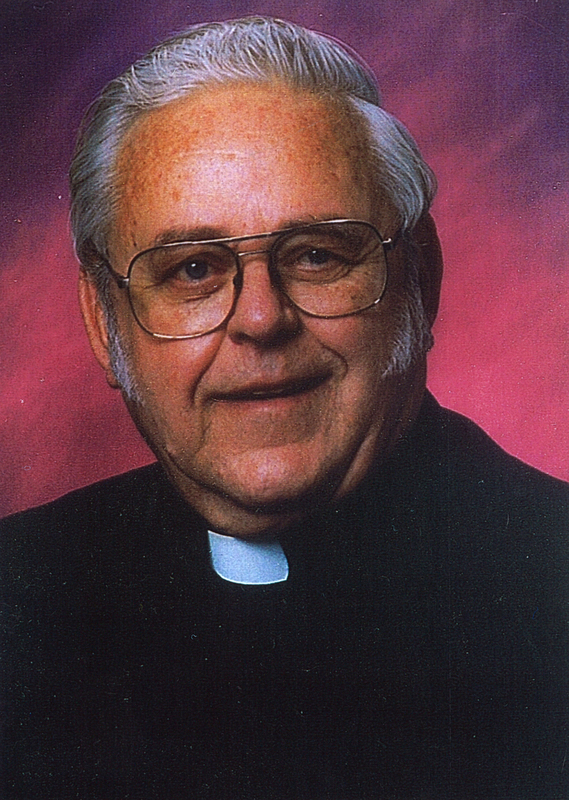 Bishop Boland celebrated Mass on June 9, 2002, and after breaking bread, he joined Father Matt in breaking ground and blessing the site. DEDICATION 2003: With much pride and excitement, St. Sabina dedicated its third church on July 12th, 2003, at 4:00p.m., with Bishop Raymond Boland presiding. Father Joseph Matt, Vince LaTona, and members of the Building Committee presented the plans and documents to the Bishop on the front steps. The congregation proceeded into the church singing joyfully, “All Are Welcome”. There was standing room only as all filed in along with dignitaries such as Belton Mayor Bob Gregory, Raymore Mayor Juan Alonzo (a parishioner), members of the Belton Board of Alderman and others from the Cass County business community. For those who had never attended a church dedication, the experience was especially moving. The Bishop blessed the water in the new immersion baptismal font, then the entire church and all of its people were blessed. After the homily, the Rite of Dedication began with the new altar being anointed, followed by the anointing of the walls. Next the altar and church were incensed, a white cloth was placed on the altar with much reverence, and candles on the altar and around the church were lit with great care. The new worship space has enabled St. Sabina much versatility at our liturgies. There are wider aisles and handicap accessibility in the entire building, including special cut outs in the pews for walkers and wheelchairs. Other additions include a pastor room, choir room, bride room, and a day Chapel which also serves as a cry room..
Corpse and Cross: Father Joseph Matt commissioned Abraham Mathew, a liturgical artist with Bramante Studio, Ontario, Canada, to design a risen Christ for the new church. The cross and corpse are based on a drawing that Father Matt had seen of the crucified Christ by Salvador Dali. The cross and corpse were blessed by Fr. 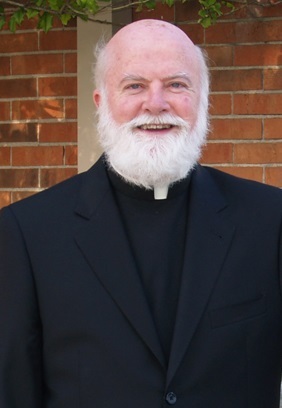 Chuck Tobin on November 24, 2004, at the Thanksgiving Evening Mass. 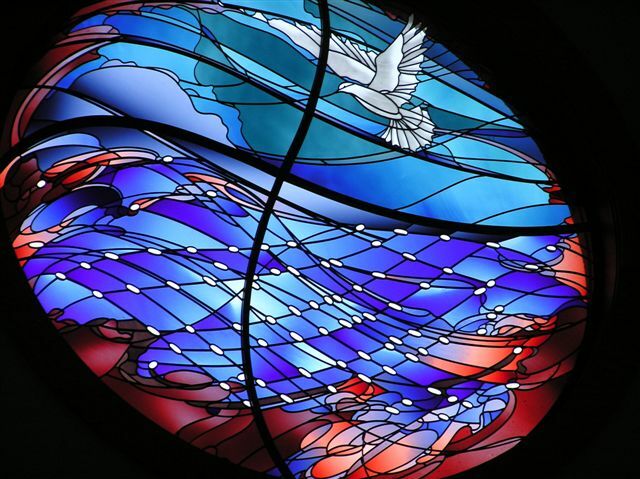 The East and West Rose Windows: The Building Committee commissioned Kathy Barnard Studio, Kansas City, Missouri to design and install the East Baptismal Window and the West Burning Bush Window. Once the Building Committee approved Kathy Barnard’s design for the East Window, Kathy began to create the window. The East Window, featuring a dove, was installed in May 2005 and was blessed on Pentecost Sunday May 15th , 2005. A major gift was given by Ken and Dorothy Swartz in memory of Dorothy’s parents: Peter and Hildred Bures to help pay for the window. Kathy Barnard’s design for the West Window was approved by the Building Committee and the burning bush window was installed on December 20, 2005. The window was blessed on February 26, 2006. The West Window was a gift to the parish from Merle and Alta Feuerborn in memory of their beloved son, Andrew. The Cross Tower: The Knights of Columbus generously agreed to build a cross tower for our new church. They raised money through their annual Paul Vargo Memorial Golf Tournaments, which were organized by Bob Coshun and the Knights of Columbus. The design was patterned after the bell tower at the chapel in Shanksville, Pennsylvania. The cross from the old church was added as a statement of faith. On May 14, 2007, the foundation for the Cross Tower was laid. The dedication of the Cross Tower by Fr. Chuck Tobin was held on Sunday, August 26th, 2007, at a special bilingual Mass. Fire Pit: The Easter Vigil Fire Pit was constructed by Jake Larkey and Boy Scout Troop 111 as Jake’s Eagle Scout Project on October 4, 2008. Materials were donated by the Water Garden Society and Bryan Meyer of Semco Corporation. The fire pit was dedicated and blessed at the 10:30 Mass on Sunday, November 9, 2008. 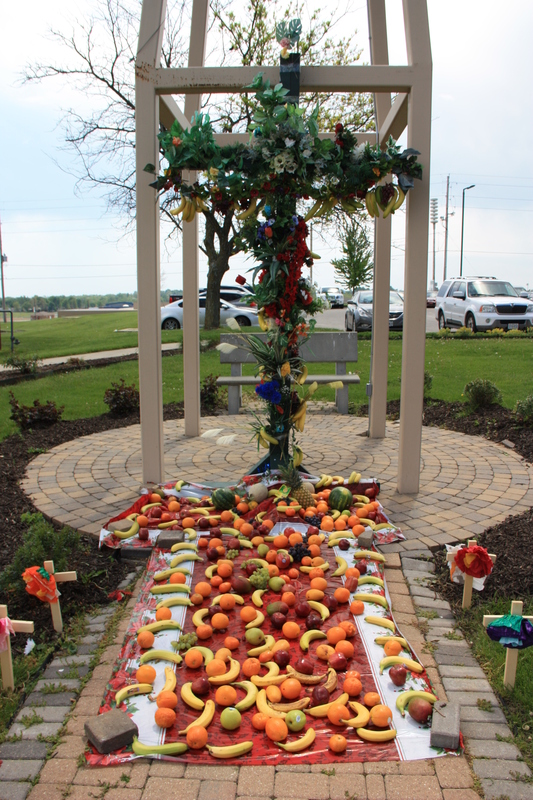 Cultural Aspects… Quinceañeras, Guadalupe Feast, Music, Msgr. Romero Celebration, etc. In September of 2000 Monica López and Lupe Bencomo began having meetings with the church staff to discuss the possibility of having a Mass in Spanish every Sunday. 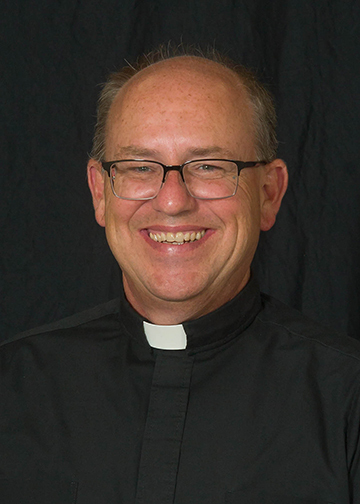 In the first meeting with Father Matt, he asked for Monica and Lupe to find out how many families would be interested in attending Mass in Spanish. Father Matt also asked for two Spanish speaking priests that would be able to celebrate Mass in Spanish in our parish. A group of volunteers was formed to organize a small survey in the cities of Belton, Raymore, and Martin City. The group went door to door where they knew there were Hispanic families. They created a survey with some questions including: “Are you Catholic? Would you like to have a Mass in Spanish in Belton? There is a Catholic Church here, ‘Santa Sabina,’ and the priest is willing to let us have Mass in Spanish. How many members are in your family?” This group obtained the addresses and phone numbers of those wanting a Mass in Spanish in Belton. In about two weeks they had compiled a list with about one hundred families interested in having Mass in Spanish. They also had three priests available and willing to celebrate Mass, Fr. 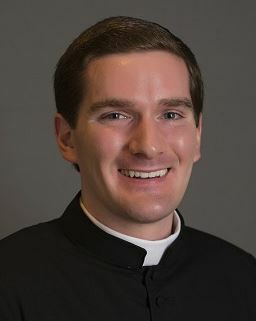 Brendan Helbing, Fr. David Matz and Father José Herrera, who was responsible for the community. February 18, 2001, was the first celebration of Mass in Spanish here at St. Sabina. Father José Herrera and Father Joe Matt were the celebrants. Currently we have approximately 1900 Hispanic parishioners. Due to our rich diversity, we celebrate many liturgies bilingually, with readings and music in both languages. Our choirs have worked continuously learning to sing bilingual songs, holding joint rehearsals and singing together at special times of the year. With the addition of our Hispanic community our entire parish has had the opportunity to learn about the Hispanic culture through many celebrations including the Feast of Our Lady of Guadalupe, celebrated each year on December 12th, Cinco de Mayo celebrations, Las Posadas celebrations and Quinceañeras. 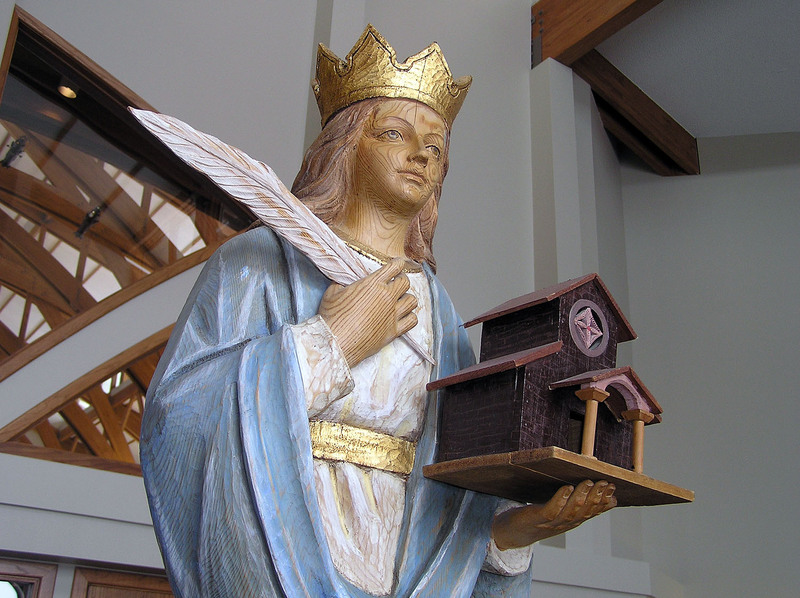 History of St. Sabina, Patron of the Parish: St. Sabina’s feast day is August 29th. In the second century, persecution of the Christians had tempered during the reign of Trojan. This policy was followed by his successor, Hadrian, for the same reason, to avoid unnecessary civil disorder. Only when denounced were Christians martyred. Sabina’s slave, Seraphia, converted Sabina, daughter of Herod Metallarius and widow of Valentinus, to Christianity. As sometimes happened, Seraphia was commanded to do homage to the gods of Rome. She refused and was delivered to two men for their enjoyment. Because she was preserved from their advances by divine intervention causing their sudden illness, she was denounced as a witch and beheaded. Sabina rescued her slave’s remains and had them interred in the family mausoleum where she also expected to be buried. Denounced as a criminal, Sabina was condemned for her act of charity to her slave. She was accused of being a Christian by Elpidio the Perfect. She was there upon martyred. It was the year 125 AD in the city of Vindena in the state of Umbria, Italy. In 430 AD her remains were brought as relics to the Aventine Hill, under which is a graveyard of archeological findings that date back to the founding of Rome, where a basilica was eventually built and named in her honor. Saint Sabina suffered martyrdom on the 29th of August in the year 125 AD under Emperor Hadrian. Her relics, together with those of the Saints Seraphia, Alexander, Evenzio and Teodulo are venerated under the High Altar of the Roman Basilica, which bears her name.